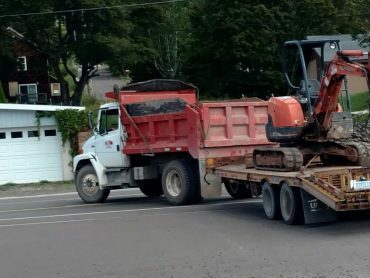 LR Contracting Inc, your local contractor is here for any excavating projects in the Hancock Michigan area. We take pride in our professionalism and we treat all customers with the utmost respect. 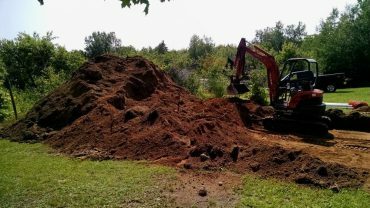 Also our prices are up front, reasonable and competitive compared to other excavating companies in the area, but most of all, we take pride in leaving your site clean when we are finished. LR Contracting Inc. is fully insured and bonded. At our company, we guarantee our work, and all customers are important to us no matter what the size of the job is. We are a skilled team specializing in site development, utilities and all phases of excavation. Contact us today at (906) 482-6114. At LR Contracting Inc it is important to us for our team to stand for certain values … we are dedicated to being GENUINE, PROFESSIONAL, DRIVEN, DETAILED and make a UNITED TEAM effort to safely and properly complete your project! We also hire, train and mentor our crew employees based upon these same values.